Advances in preventive medicine and minimally invasive surgery are driving the need for enhancements in endoscope systems, Averlogic introduces its new wireless video scope reference design which applies AL582 JPEG and MJPEG Video Codec to Wireless Video Scoping Products. Averlogic’s Wireless Video Scope Reference Design takes a quantum leap in disease diagnosis and therapeutic management by allowing visualization in mobile devices. A wireless solution that will provide a powerful diagnostic tool for the early detection and treatment of many conditions. Ken Liu, Averlogic’s Product Manager, affirms: “Our goal is to provide an advanced level of care and awareness to dental practices, allowing higher levels of safe, less invasive patient care." This new reference design improves the former AL582C-CMOS-DMB-A22 JPEG & MJPG Video Scoping thanks to its wireless technology. The high-quality image provides a tool for the dental practitioner to view the affected area anywhere in real time. 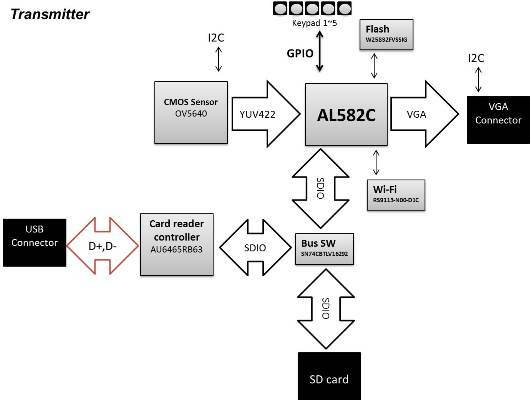 The AL582 solution is an embedded design based platform that does not need drivers for WiFi, SD Card and File System functionality. 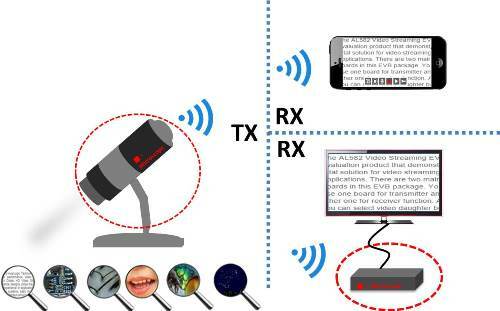 This means a product can easily stream live video and audio to a smart phone. Even without a smart device, PC or DVR, the AL582 solution uses and H.264 & JPEG Codec that allows you to have an AL582 device transmitting while another AL582 device is receiving on the other end.